This cookie recipe is so wonderful, it holds its shape when baked and tastes delicious! 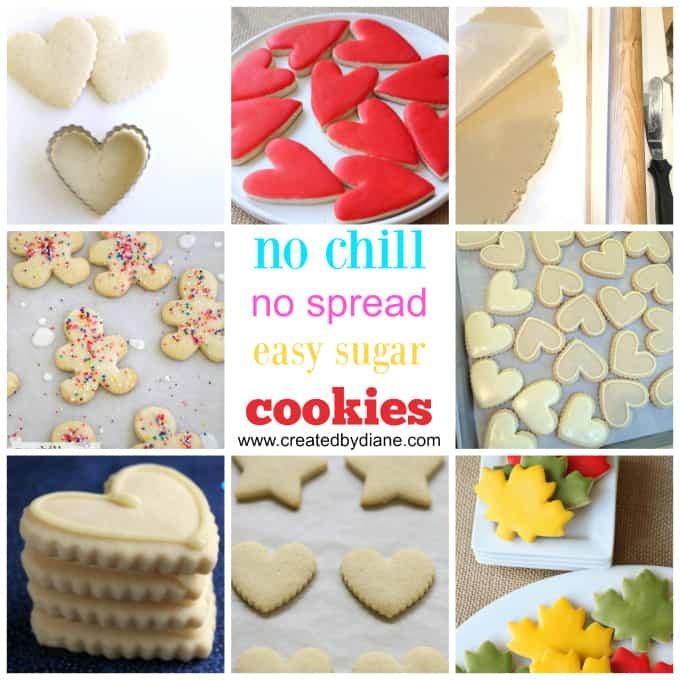 This SUGAR COOKIE RECIPE does not need chilling, holds its shape and doesn’t spread, perfect for any shape cookie cutter. It rolls out easily, can be baked days ahead and cookies can even be frozen before icing. 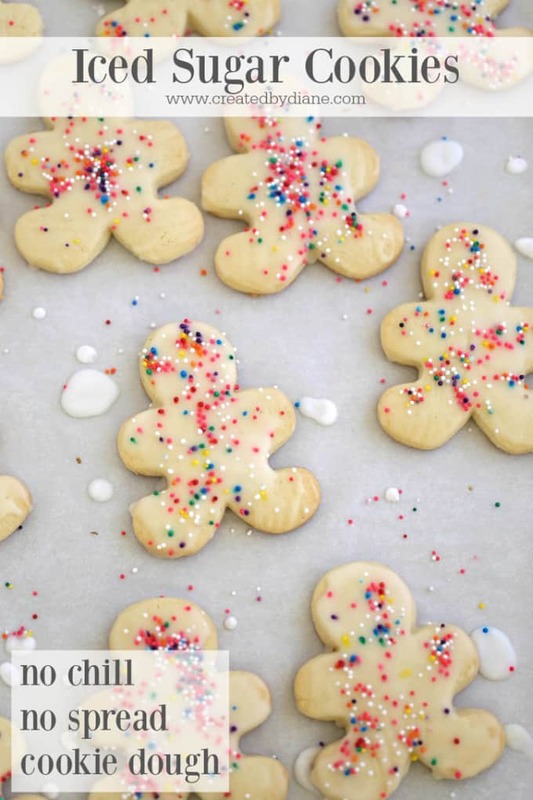 These cookies are great all year long, you don’t have to wait until December to make Christmas Cookies with this recipe, but it’s also a perfect time for them too! 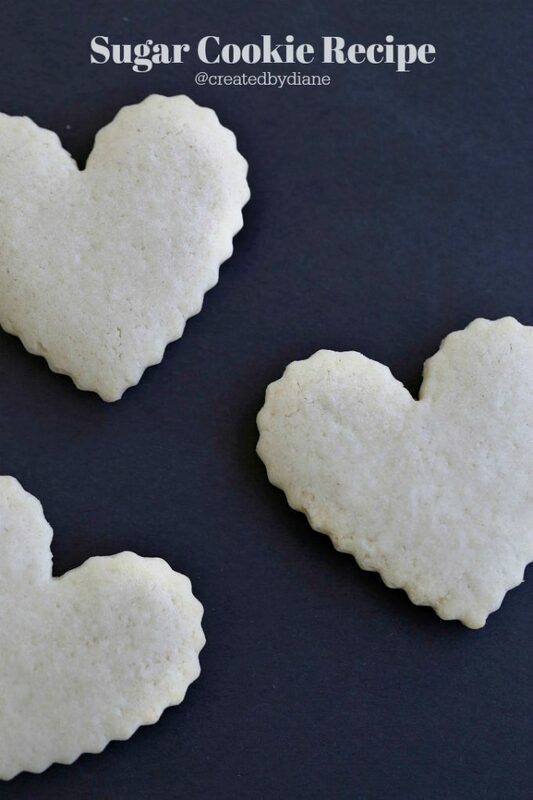 You will fall in love with this sugar cookie recipe. The cookies are light and tasty without being heavy or tough. They are not overly sugary and taste great alone or with a thin or thick glaze icing on top. *this post is full of information with links to many other recipes as well. *If you have any questions for me, leave them in the comments. I bake my cookies without having them brown and let them cool on the baking sheet completely. This cookie recipe is GREAT, they really hold their shape so when baked the cookies come out of the oven in the shape they went in! to get more info be sure to check out THIS POST too. Be sure the butter is at room temperature but not warm. Measure your flour by scooping the flour out of the container you have it in, then into the measuring cup and leveling it off. Don’t pack the flour in or you will have dryer dough and tougher cookies. I like my cookies and baked goods to have a great balance of salty sweetness, I often use salted butter and yes still add salt to the recipe. If you are in doubt and do not like salty sweet, use unsalted butter, and add half the amount of salt in the recipe. Be sure your baking powder is fresh. Now my rant on vanilla. BUY the best vanilla you can. Just because you CAN buy it in a big bottle at a great price doesn’t mean it will result in the best tasting baked goods. I have vanilla that says Madagascar, Tahitian, Bourbon, there are many brands like this, this, and oh my goodness I love this one from Orlando Natural Vanilla it’s delicious no alcohol taste and great in icings and frostings that don’t get cooked or baked, that is where great vanilla is essential. HERE is my post on my foodie favorite items with baking sheets and other items I find essential in the kitchen. 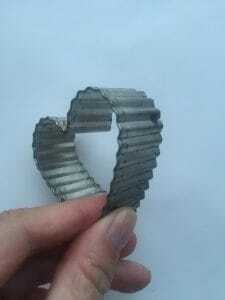 Here is an image of the cookie cutter I used for these cookies. It’s 2 1/2 inches wide at the largest part of the heart. 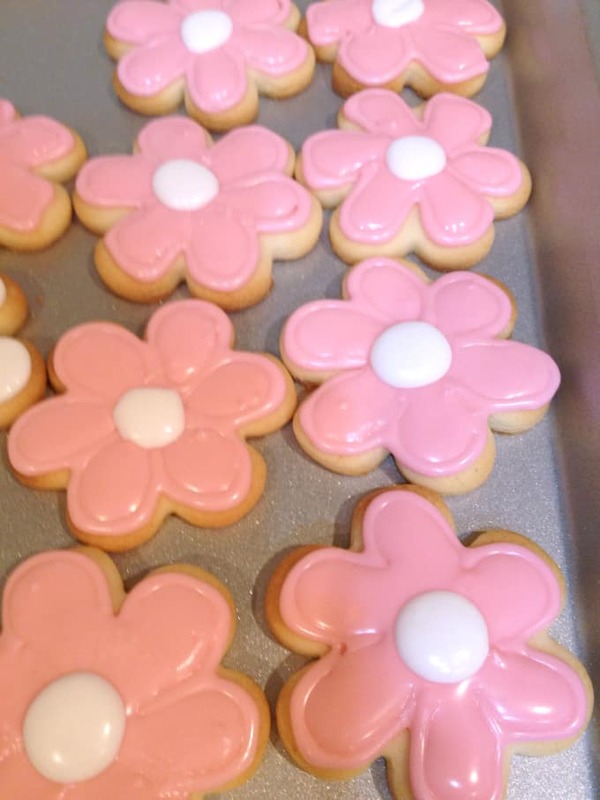 Icing Cookies with a piping bag – This easy no mess method of filling piping bags to ice cookies will have them looking professional after a little practice. Icing cookies without a piping bag – Once you see this, it’ll change how you ice cookies especially if you’re in a hurry! 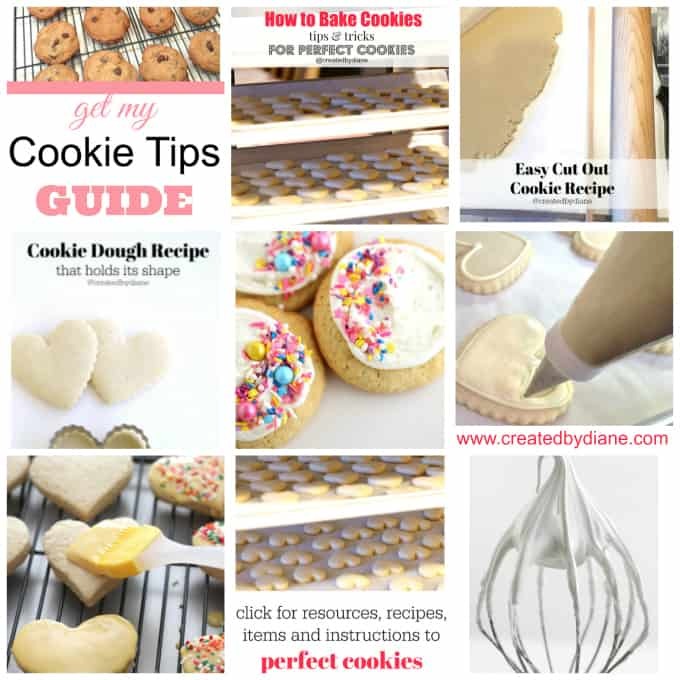 Cookie Ebook, how to make a BEAUTIFUL tray of cookies all with one dough. Take a look how pretty it is! back to school – Apples or pencils are great this time of year. 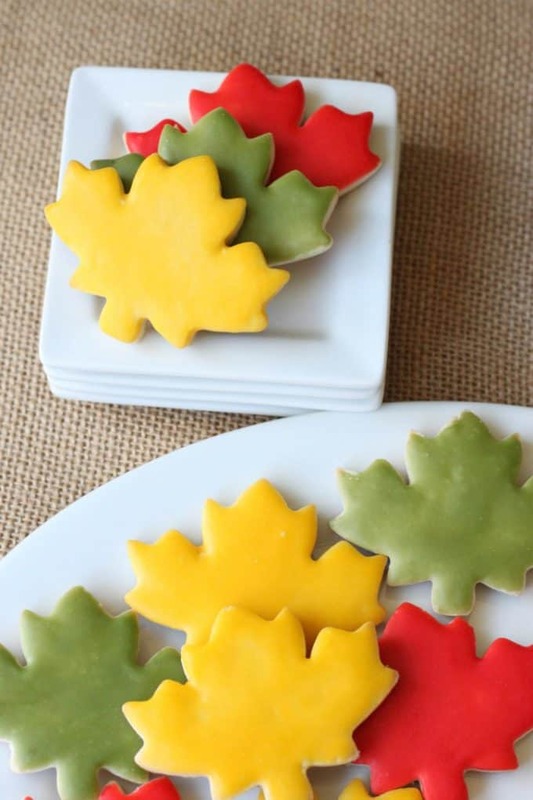 Fall – Leaves and I just love Chocolate Cherry Cookies this time of year. Game Day – check out these fun football player cookies and Coconut Football Cookies and if you’re a baseball fan these BATter up cookies are so cute! My BEST advise on baking cut out cookies is plan ahead, don’t try to do a large batch and ice them in a short amount of time. You’ll get tired and the cookies won’t look like your best work. this gives you time to clean up especially if you are making multiple batches of cookie dough. Ice the cookies the next day and let them dry completely on baking sheets, don’t move the cookies, you’ll end up messing up more cookies by handling them over and over. 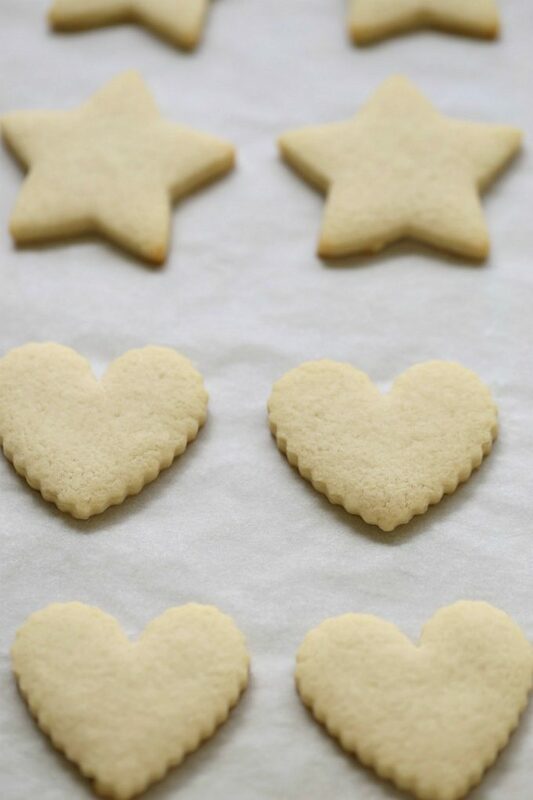 Purchase extra baking sheets if you plan on baking lots of cookies. These are my favorite baking sheets I have bought many different brands, but these are my all-time favorite. If you do mess up a cookies icing, be sure to have some of these on hand, they can make cookies cute with very little effort. 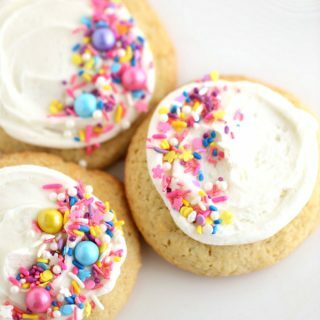 There are so many options with baking sugar cookies depending on cookie cutter, icing color, sprinkles and these taste AMAZING! In the large bowl with a mixer, cream together butter and powdered sugar. Blend in flour, baking powder, and salt. Bake at 400° for 7-9 minutes, until cookies are golden but tops are not browned yet. There are so many options when it comes to cut out cookies, the shape, the flavor, the color. Cookies are perfect for EVERY occasion! You can make cut out cookies with colored cookie dough too, which is great if you don’t want to ice them! 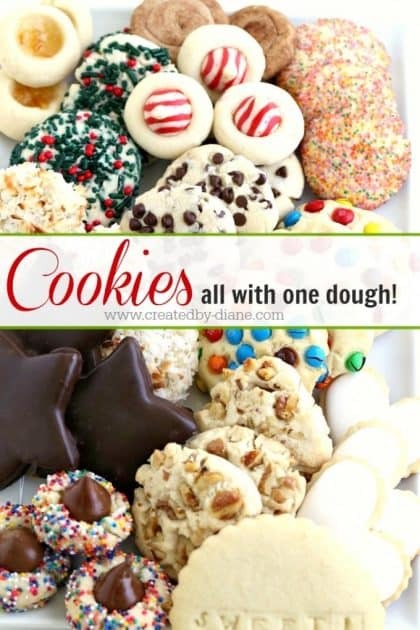 Cookies all with one dough, this is a must for any cookie lover! CLICK HERE For info on this great ebook! If you like this post feel free to check out more of my recipes HERE, or click the recipes tab on the toolbar, and please share this post using the social share buttons at the top or bottom of this or any post. Thanks for sharing the recipe…The cookies look amazing! I’m thinking of trying to make some for Christmas this year but had a quick question that I was hoping you could answer (and possibly save me a baking nightmare). Does the recipe scale up okay? Have you tried making a large batch of the dough? Yes you can double the recipe with no problems, happy baking! Thanks for getting back to me about being able to make larger batches. Wish me luck! the temperature is given in fahrenheit right? thanks for answering that question I was just going to ask. I am making a dozen cookies what should the temperature be? These cookies look super easy – question though.. How do I know whether or not to up the flour to 3 cups? By the texture of the dough, as there is no control over the butterfat and liquid in the butters each and every person who will be making this recipe, the flour is the one item you can control. So add a tablespoon at a time as needed. I don’t work on a floured surface, I work between waxed paper. You’ll have to adjust the flour to your liking, the dough should be soft and not have a floury consistency when you touch it. Too much flour will result in drier cookies. That is why there is a range. There is varying degrees of protein in flour and how stretchy and firm the dough will get is effected as well, but the flour is the easiest to control.Begin with 2 3/4 cup flour, then add a small amount if the dough seems too moist, most often you will be fine with 2 3/4 flour. 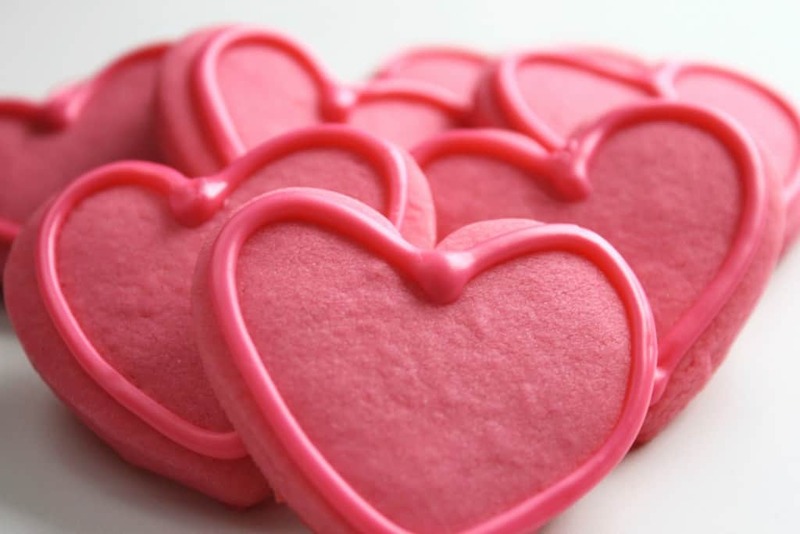 I just made these cookies, they are delicious! I chilled the dough for a few minutes to make it a little easier to handle, they held their shape perfectly and taste wonderful. Thanks for the recipe. How do should I store them in between baking and decorating once they’ve cooled? I have ruffled edge cookie cutters–sets round and square–and after baking, never get the distinct marking at the edge like yours look. How can I achieve that? Do they puff up a lot with the baking powder? Thanks. 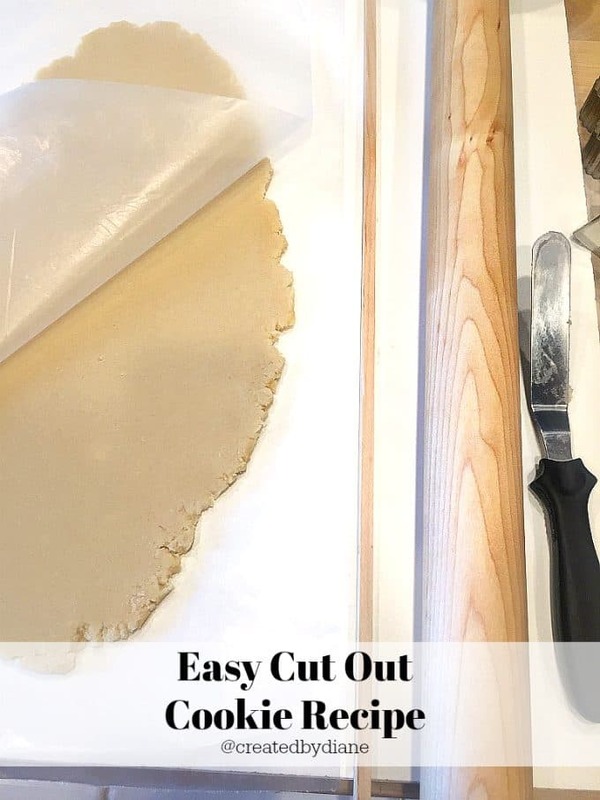 It does all depend on the cutter itself and how sharp the wavy edge is, as well as the cookie recipe. I haven’t had any trouble with this cookie recipe. It does not change shape that much at all when baked. The wider the wave on the cookie cutter the softer the edge when baked. No, they do not puff up excessively with the baking powder. I added a link to the post for my red velvet cookies, you can see the dough in that post and how clean the edges are when cut with the cookie cutter. 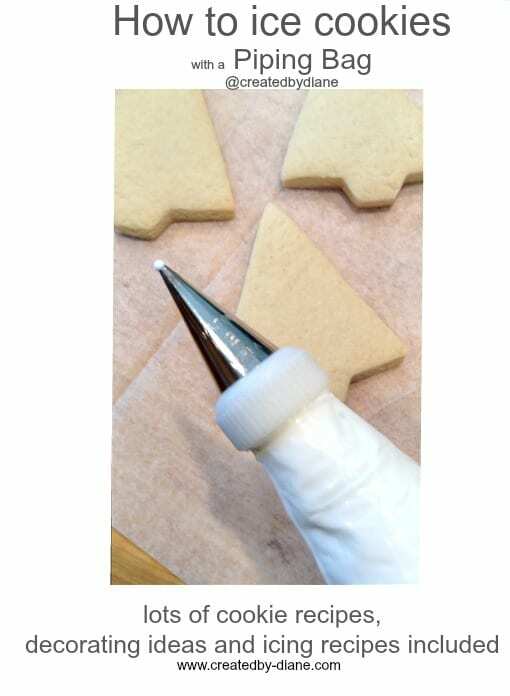 I’ve updated the post “sugar cookie recipe” with a photo of the cookie cutter I use so you can see it. Should I put the dough in the fridge before rolling out and cutting? I see this a lot as it says the cookie will be less likely to spread because the butter will be firm. I have seen it said that if the recipe doesn’t say to put it in the fridge, then don’t. Your recipe doesn’t say it. What are your thoughts? I do not refrigerate the dough and it does not spread. I’ve made thousands of cookies with this recipe and there is no need to refrigerate the dough. That just more reason to love this recipe, it’s easy and quick. Is The end result of this cookie crunchy or soft when you bite into it? Looking for soft cut out. Thank you so much! Just finished the first batch of these cookies with the kiddos. I used the whole 3cups, as well as some on the surface for rolling. They have an awesome consistency almost like cloud dough. And worked great with our 3D sitting santa cookie cutter! Happy to hear you liked the recipe, we love it! I agree with all the comments! These ARE easy and they ARE delicious. Thank you for sharing! Do you grease your cookie sheets, or bake on parchment or a Silpat? Or can they just go onto an ungreased sheet? Can you freeze the dough or maybe even the made cookies ? I have baked the cookies and triple wrapped them and then froze them, then thawed them completely unwrapped and iced them with great results. I have also iced and then frozen the cookies will great results, I have not frozen the dough and then made them, I prefer the cookies to be made when the dough is made, but go right ahead and try it and let me know how it goes. I know this dough does not need to be refrigerated but can it be? Will the dough still hold its shape when baked of the dough is made a day in advance and kept in the fridge? I don’t refrigerate this dough, it tends to make the dough a little “tougher”. I prefer it made the same day as it’ll be baked. You can, of course, refrigerate the dough, just be aware of the change. The dough takes 5 minutes to make. If you do refrigerate the dough be sure you bring it to room temperature before you roll it out to cut the cookies. I’ve made this recipe twice and both times added an extra 1/2 cup of flour on top of the stated amount and still cannot get the mixture to cut out with a cutter. My mixture is very soft. I rolled it into balls & pressed flat on the tray. They cooked well and tasted great, but wanted to use a heart shape cutter. Was worried putting any more flour in will change the texture and taste. I’m in Australia- maybe our ingredients are different. Will play with the recipe again! Hi Christine, I’m not sure where the trouble lies, I’m using all purpose flour, and I’m not sure if any other ingredients are different that they are here in the states. Since you are having trouble, yes you can add more flour, the more flour and the more you “work” the dough the tougher the cookies get here, the cookie dough is soft but certainly manageable to roll and cut with a cookie cutter as I’ve made this recipe for years and dozens and dozens of cookies, so you can try more flour, I don’t chill my dough but maybe there is more moisture in the air where you are, try chilling the dough for 10 minutes, to get the butter a little firmer so the cookies roll easily. 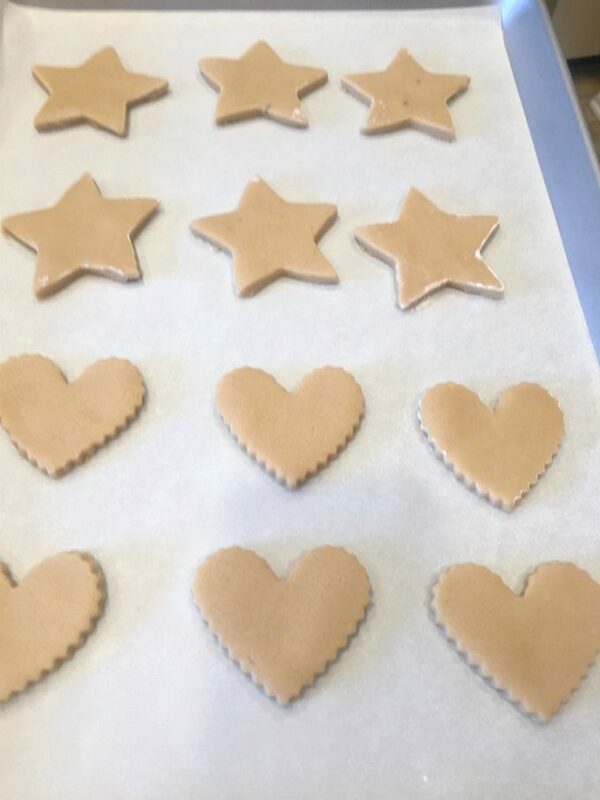 Let me know specifically what you think could be the difference in ingredients or weather or whatever and I can try to help you trouble shoot so you can have a great result with these cookies. *powdered sugar, also called confectioners sugar. Hi, thank you so much for sharing. I love this recipe! Is there a chocolate version of this recipe? 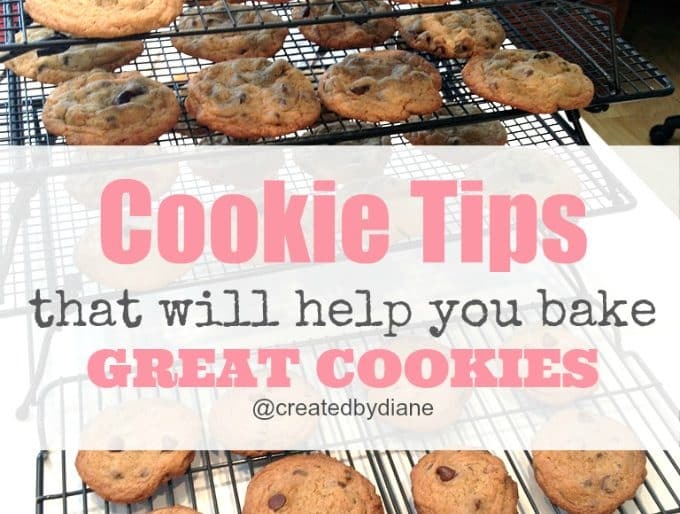 You can also use the recipe tab on my blog to see more posts “cookies” or “icing” will bring up other posts you may have an interest in seeing. I’m sorry but this recipe did not work at all. The cookies did not hold their shape! Very disappointed. I had to throw them out and find a better recipe. 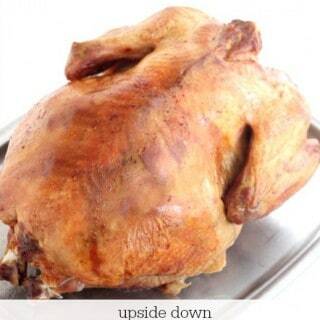 I’m sorry the recipe didn’t work for you. I’ve made numerous batches of this recipe with no trouble. If you want to try to troubleshoot what went wrong feel free to be specific with what happened and I can then give you ideas to try for your cookies to come out like mine. Common problems people say they have had: the dough is too moist, solution be sure you are using large eggs. If the dough is too dry try warming it up in your hands as the butter will melt a little bit and become smooth, especially helpful if your kitchen is cold. If you think there is another issue, let me know. Hello, would you say these are soft cookies or more like crunchy cookies? They are not crunchy, they are a firm but tender sugar cookie. They are firm enough to hold shape and not break when handled. Tender when you bite into them. I’m so happy to hear you like the recipe Alise, HAPPY BAKING! Once these cookies are made and iced with royal icing, how long will they keep in the freezer for optimum freshness and taste and quality?? I put them in a plastic bag, remove the excess air and they are good for 30 days. I have wrapped them individually in cellophane bags, then place them all in a plastic bag (remove air from the bag) I’ve had them taste great at 3 months. I tested many batches and how long they tasted fresh by “sampling” them each week. Depending on the color of your icing, some changes to color do take effect after 30 days mostly I had that happen on red, it had a slightly darker swirl look, not at all bad, just not the exact color as when they were frozen. There was no change in white cookies. 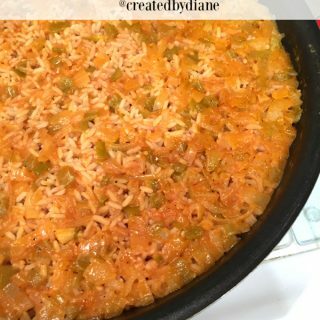 Have you tried this recipe with a butter substitute or Crisco? Does the shape still hold well? I need to make a dairy free cookie for my son. I have not made them with a butter substitute, but shortening (Crisco) would most likely work well. Make the recipe with the same amount of shortening (crisco) and bake 3 cookies to test it, then you can adjust the recipe if it needs more flour, add 2 tablespoons as needed if the dough is too soft, or spreads until you find the right combination, but I think it should be fine if you use the same amount. I look forward to hearing how it works. Thank you for the cookie recipe. I’ve had trouble with sugar cookies turning out rock hard or tasting like cardboard… not with this recipe! All my cookies kept their shape, were soft, and tasted delicious! Easy recipe for my kids to follow; definitely a keeper. I’m so happy you liked the recipe, HAPPY BAKING!!! Hi, do you use a mixer to make the dough or by hand? I use a stand mixer. 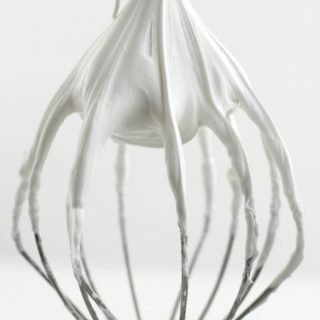 If you don’t have a stand mixer a hand mixer will work, be sure to cream the butter and sugar smooth first, then add the remaining ingredients. You can mix it by hand if need be it will take time to mix it well but can be done. I made the cookies this past weekend and the dough came out perfect! So easy to work with. However, I don’t think I would call this a sugar cookie, it tastes more like a butter cookie. And definitely needs something added, maybe more vanilla extract or almond extract. These are not really a butter cookie, but I can see how you may be used to “really” sweet sugar cookies and find these less sweet. I’ve written many posts about my baking, and cookie recipes and I do not prefer my cookies overly sweet, that being said add more sugar if you prefer, and the quality of the vanilla will vary greatly. I most often use Neiman Massey Vanilla or Vanilla bean paste or a Madagascar Vanilla. Of course, you can add any flavor combo you prefer be it almond, lemon, or a combo of all three which is referred to as “princess” flavor and that is what a lot of bakeries use. It’s great to mix up the flavors I have lots of different flavor sugar cookie recipes including red velvet. 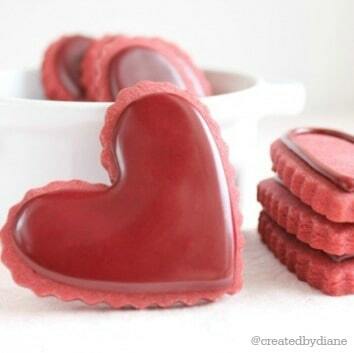 You can see them here https://www.createdby-diane.com/2012/05/red-velvet-cut-out-cookies-with-red-velvet-icing.html. 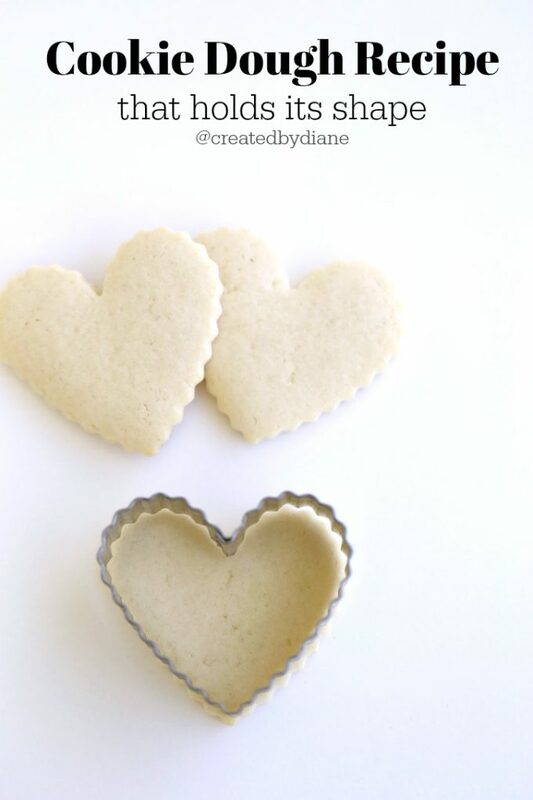 I’ve baked thousands and thousands of cut out cookies and you can find my tips here https://www.createdby-diane.com/2017/09/how-to-bake-perfect-cut-out-cookies.html and more cookie info here https://www.createdby-diane.com/cookie-tips. HAPPY BAKING! Help… my dough is crumbly! Not sure what I did wrong! How should I store them in between baking and decorating once they’ve cooled? 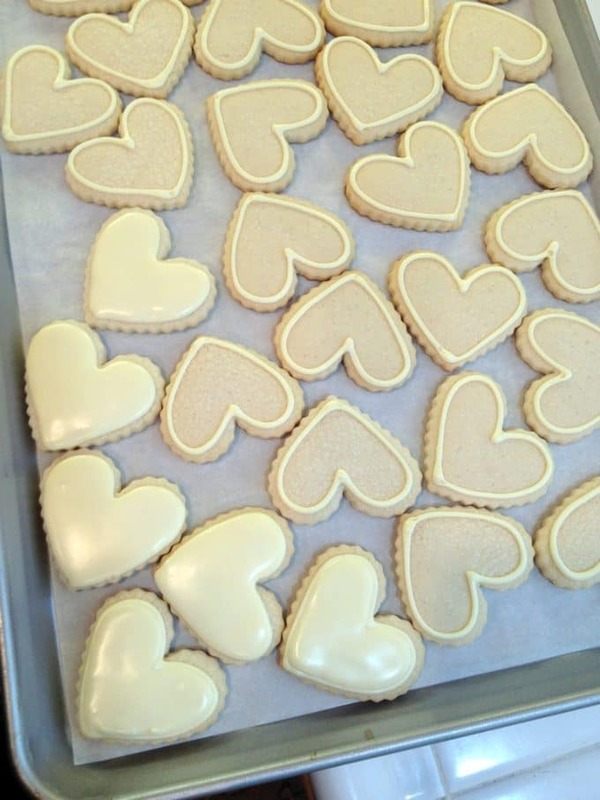 This recipe makes 3 dozen heart cookie, about 2 1/2 inch cutter across. It will depend on the cookie cutter size and how thick you roll them.